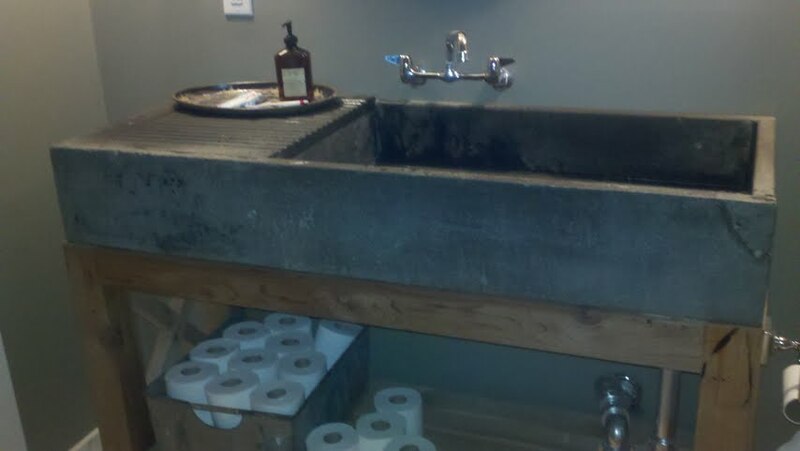 On Tuesday I posted 10 Soapstone Kitchens, Sinks and a Fireplace. 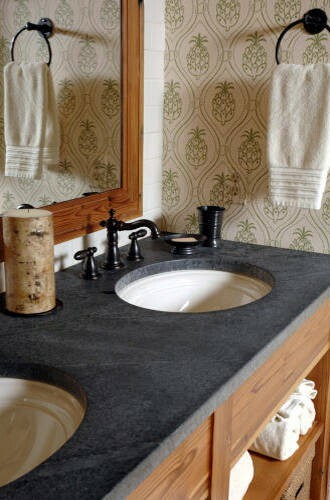 I got a few emails asking if Soapstone was a good countertop surface for a bathroom. Yes, it's a great surface for baths as well! It holds up really well and is a nice, warm stone. 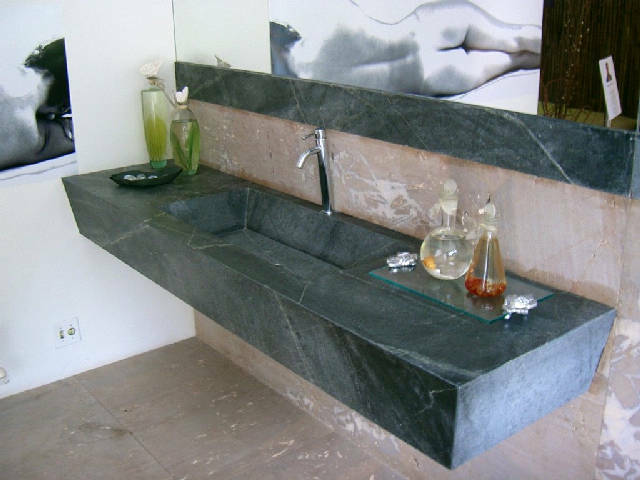 I really like all of the different sinks they can make out of Soapstone too. 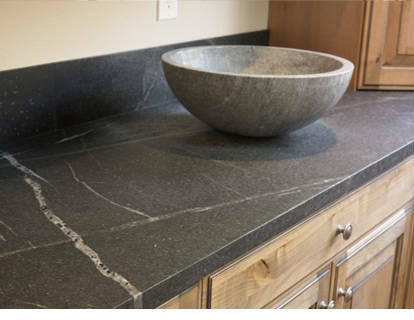 The Soapstone in the photo below has a Leathered Finish. I haven't ever seen this finish on Soapstone in person, but I think it looks really pretty. Great post! 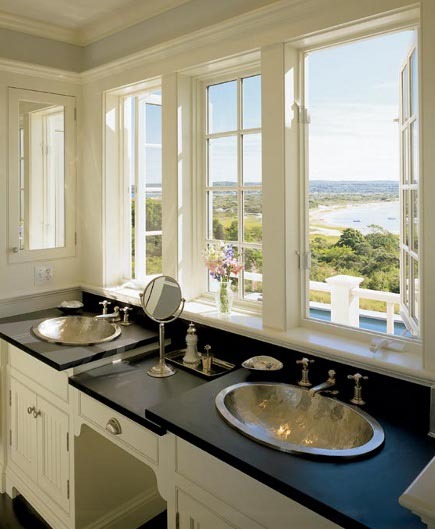 We just completed our master bathroom renovation with granite and cannot wait to tackle the kitchen with soapstone!